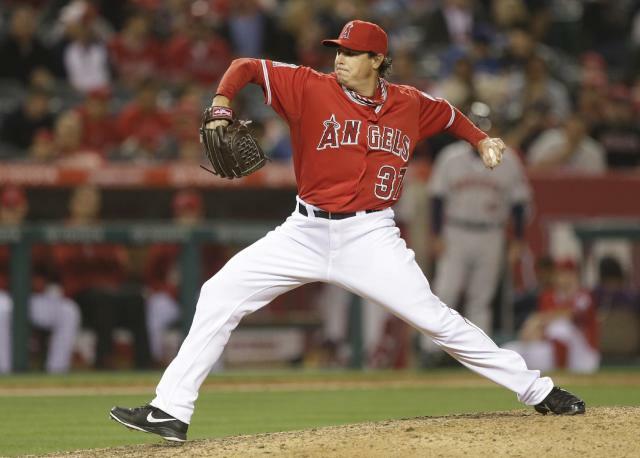 The season wasn’t going anywhere the last three hadn’t gone for the Los Angeles Angels. So the creeping notion Albert Pujols’ next at-bat won’t come until spring training 2014, while high on the Pujols-is-getting-more-human-by-the-day scale, registered hardly at all on the what-happens-to-the-pennant-race-now-o-meter. The Angels were flat-lined the moment it became clear they’d overestimated their pitching staff and underestimated Josh Hamilton’s transitional powers, so, like last year, it appears they’ll go an entire season without playing a single meaningful game. That’s probably a lot to digest for owner Arte Moreno, who has spent enough money to field a winner but tends toward distraction by shiny objects and then picks fights in all the wrong places. The guy who told him Zack Greinke would get the Angels to the postseason in ’12, that skimping on pitching – in a division with the Oakland A’s and Texas Rangers – was a reasonable idea in ’13, that’s the guy who should have been banished to the right-field foul pole. Regardless, it’s not yet August and the Angels are 13 games out of first place, just lost three in a row in Oakland, probably won’t see Pujols until February, have committed more errors (74) than anyone in the AL but the dreadful Houston Astros, and don’t appear to have the slightest idea how to take it all back. In March, Baseball America rated the Angels’ farm system as the worst in the game. Following the draft, by some accounts, they’d risen all the way to No. 29. At that progression, their minor leagues will be healthy again in time for Mike Trout’s retirement ceremony. These rankings aren’t always accurate, of course. And they are less important when your payroll tends toward the top five in the game. But, they are not insignificant either, not when the Angels have $132 million in obligations next year, including nearly $19 million for the Yankees' Vernon Wells, and $112 million the following year, and $107 million (for five players) the year after that. Anyway, this is probably the reason deadline chatter has shaken loose the concept of the Angels listening to offers on shortstop Erick Aybar and second baseman Howie Kendrick, and why Scott Downs has a new home in Atlanta, and why the loss of Pujols is a bummer for the Angels but not utterly destructive. They simply don’t do enough things well to hang with the likes of the A’s, or the Texas Rangers, or any of the studs in the American League. In fact, the Seattle Mariners are all they can handle at the moment. The Angels – Moreno, general manager Jerry Dipoto, manager Mike Scioscia – must find a way back to all the Angels once did well. They pitched end to end. They defended. They ran. Now they have Mike Trout, a couple starters in Jered Weaver and C.J. Wilson, some power in spots, and long commitments to Hamilton and Pujols, both in their early 30’s-ish. Translated: Downs to the Braves for a minor-league pitcher. That happened Monday morning. The question now is how deep the Angels will cut in order to rework their pitching staff, and whether that means Kendrick or Aybar – two good players under good contracts – can be turned into shutout innings, and then whether the offense can sustain losing one or two athletic types. On the bright side of the Pujols news, perhaps this is the restart Pujols and his ailing lower body will require. Between an achy knee (which needed surgery last offseason) and the chronic foot issues, Pujols has hardly been right since signing with the Angels. He’d spent nearly twice as much time at DH than he did at first base this season. His stroke came and went. He could barely run. A manageable condition – plantar fasciitis – had become wholly unmanageable, and then came undone legging out a double Friday night in Oakland. Pujols was told Sunday he’d likely miss the remainder of the season. Doctors believed he’d severed the ligament, which will require two months of recovery. If, upon further examination, Pujols needs surgery, the recovery is closer to six months. And while Pujols was said to be unhappy and frustrated by the apparent end to his season, perhaps it is best. The Angels weren’t going anywhere anyway. Pujols needed to retake his body. Maybe they can heal together.